Would you like to receive free stamp sets and merchandise without hosting or attending a workshop? Have a wish list a mile long? Do you want to grow your stamp collection a little at a time, while staying on a budget? 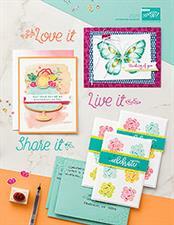 A stamp club might be just what you need! By joining my Stamp Club, you commit to spend $25 (before shipping/handling and tax) each month, over a period of 6 months. I will place you in a group with 5 other stamp club members. One time during the 6 month period you will be considered the Hostess and receive all the Hostess benefits. Hostess benefits: one Free level 1 Set and $15.00 free product. You may also add to your hostess month by collecting outside orders from friends. The sale from your workshop willbe added to the club order, which will add up more free merchandise. If you think or you know you usually spend more than $25.00 a month then you may choose to become a “Double Member.” As a double member, you commit to spending $50 a month instead of $25,and you will be the Hostess two times during the 6 month period. 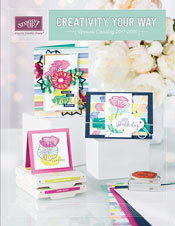 When you join this stamp club you will receive your new Stampin Up Catalog in July Free. So come and join in the fun today. PLEASE Share this invite with your friends!! For everyone that brings a friend on board for Stamp Club, you will receive your choice of stamp set from my stock of stamps for sale for FREE, and in month 6 you’ll receive your choice of stamp set from the new catalog ($17.95 & under) for free as well!!! It's about that time of year....time for a NEW CATALOG!!! w00t!!! The new catalog doesn't debut until July 1st....but we have a list of the sets and accessories that are your "LAST CHANCE" or retiring!